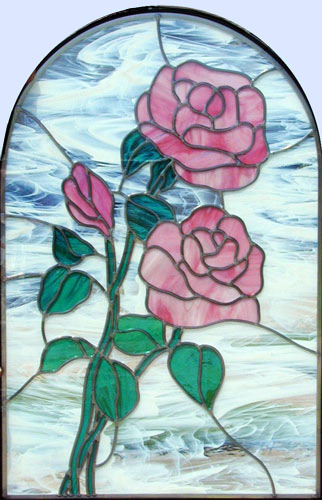 "PINK ROSES" STAINED AND LEADED GLASS WINDOW CUSTOM AT GLASS BY DESIGN. 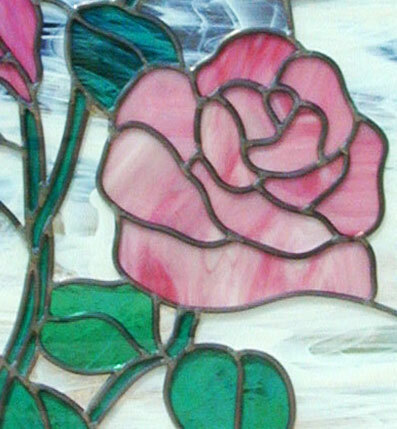 This arched pink roses stained and leaded glass window was 24" x 36". The price for this window custom made to your dimensions at this scale would be $215 per square foot.